“Nature is speaking. We have to do something.” This was what Bernadette Alitagtag, the President of Honda Cars Suppliers Association, said on why they are having environmental advocacies. 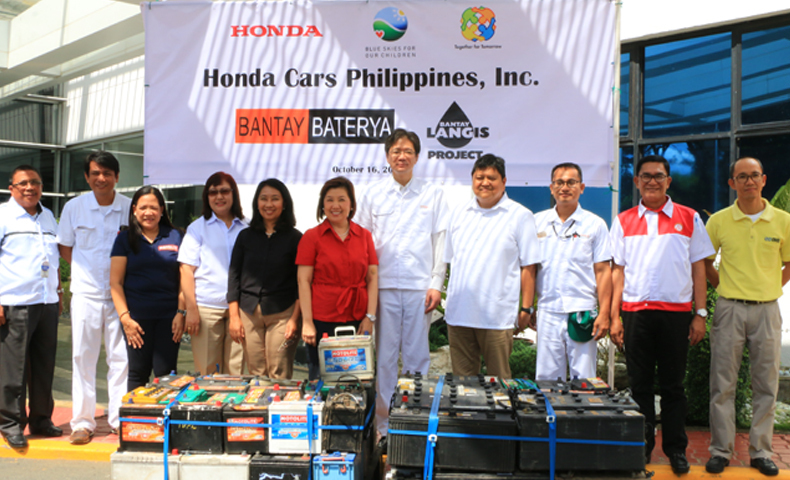 After more than a decade of partnership with Bantay Baterya of ABS-CBN Lingkod Kapamilya Foundation Inc.’s Bantay Kalikasan in proper disposal of used lead-acid batteries, Honda Cars Philippines Inc. (HCPI) and Honda Cars Suppliers Association (HCSA) signed a new partnership with the foundation’s environmental arm. The automobile manufacturing brand partnered with Bantay Kalikasan’s Bantay Langis project to properly dispose their used industrial oil and/or organic solvent. These endeavors are under their corporate social responsibility project called Blue Skies for our Children; the impetus behind their efforts to reduce environmental impact of its operations and products. “Blue skies for our children is our dream. It is what we strive for. And indeed, we want our children to experience and enjoy blue skies just like we did when we are young,” Noriyuki Takakura, President and General Manager HCPI explained. MOA signing for Bantay Langis (L-R) Wilfredo Gloria, Deputy Division Head-Manufacturing of Honda Cars Philippines; Louie Soriano, Division Head-Administration of Honda Cars Philippines; Noriyuki Takakura, President & General Manager of Honda Cars Philippines; Susan Bautista-Afan, Managing Director of ALKFI; Noemi Samson, Chief Finance Officer of ALKFI; Arsenio Tanchuling, OIC Regional Director of DENR Region 4A; Bernadette Alitagtag, President of Honda Cars Suppliers Association; and Jocelyn Panen, Pollution Control Officer of Genetron International Marketing. 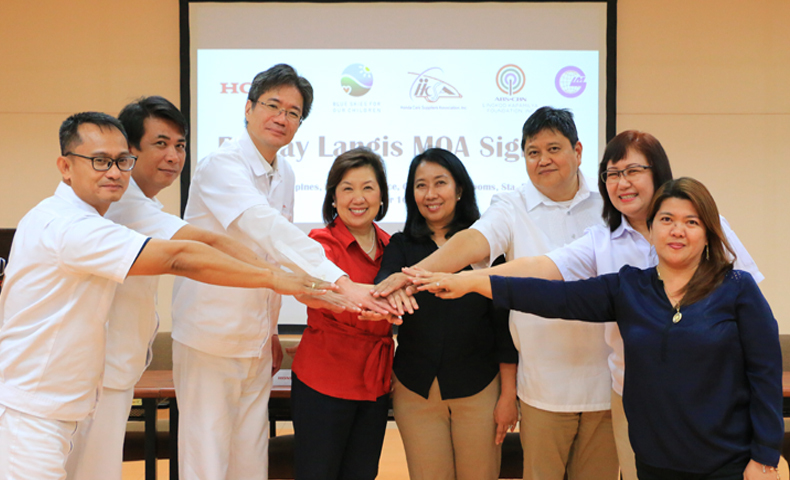 The Bantay Langis and Bantay Baterya program aims to lessen pollution by proper disposal of used oils and lead-acid batteries through the help of its recycling partners Oriental & Motolite Marketing Corporation for Bantay Baterya, and Genetron International Marketing for Bantay Langis. After recycling, the monetary value will be used to support Bantay Kalikasan’s environmental advocacies and the communities it assists in 14 sites. “In the last 12 years, we have collected 5,778 pieces of used batteries from where we have recycled almost 44,073 kg of lead; 8,814 liters of acid.” Wilfredo Gloria, Deputy Division Head-Manufacturing shared. Together with ALKFI’s partners, Bantay Kalikasan has successfully done their environmental awareness program, wherein they do different kinds of activities like tree planting and coastal clean-ups across the country. A photo opportunity during the turn-over for Bantay Baterya Project with ALKFI heads, Honda Cars Philippines and Honda Cars Suppliers Association heads and officers, and Oriental & Motolite Marketing Corporation's ULAB Supervisor Rita Regalado. After the signing of the agreement, HCPI and HCSA also turned over used lead-acid batteries to Bantay Baterya.